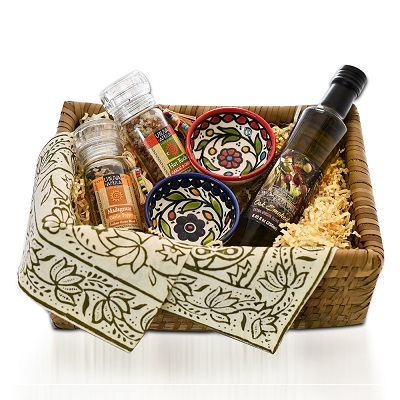 Give a handmade gift basket. 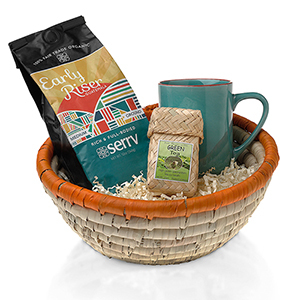 Each item in our organic Coffee Lovers Gift Basket provides employment, a fair wage, and social benefits to disadvantaged farmers and artisans around the world. African Highlands Light Roast 100% Organic Coffee (12oz) is a bright and lively light ground blend of Ethiopian coffee beans. 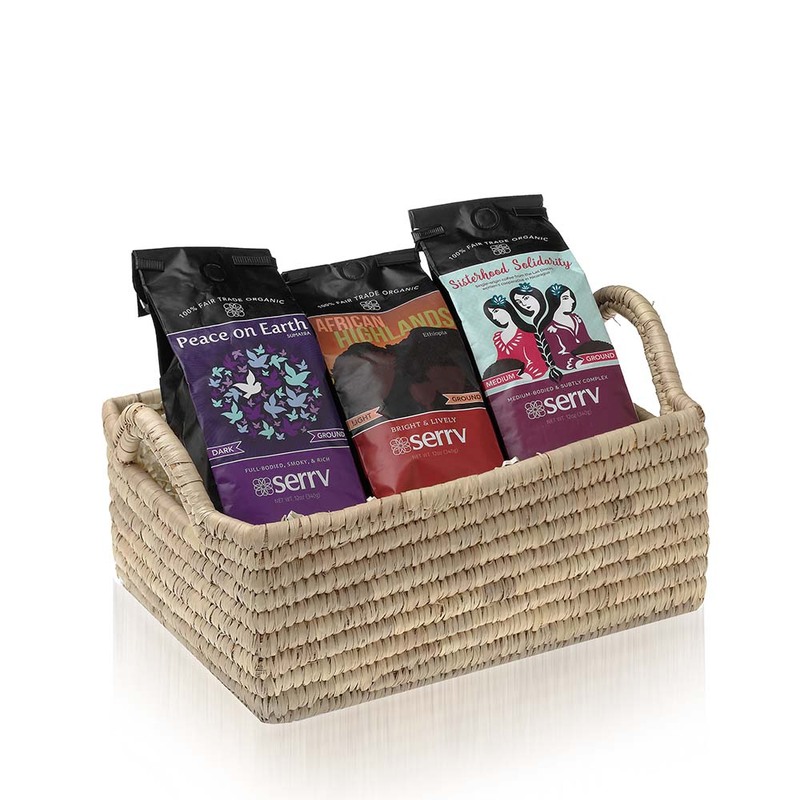 Sisterhood Solidarity Medium Roast 100% Organic Coffee (12oz) is grown by Las Diosas, a unique all-female cooperative in Nicaragua that uses income from their coffee sales to empower their community. Ground. Peace on Earth Dark Roast 100% Organic Coffee (12oz) is a full-bodied, smoky, and rich dark ground blend of Sumatran coffee beans. 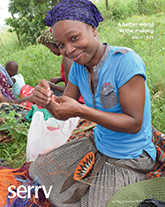 Your fair trade coffee purchase helps build social and economic justice, and long-term relationships with small-scale, worker-owned coffee growers in three countries. Learn more about Just Coffee. Kaisa Grass Basket Tray with Handles (5"h x 13"w x 9 ½"d) provides sturdy storage and easy portability. 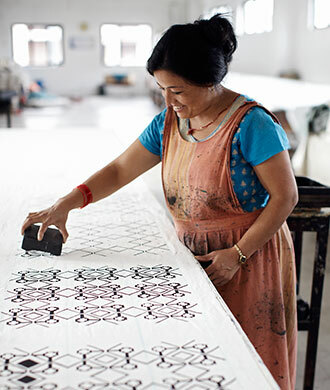 Your purchase helps extremely poor artisans in remote areas of Bangladesh create a sustainable income where few other options exist, while preserving this country's fine hand-crafting heritage. Learn more about Dhaka Handicrafts.